This was a new logic element invented by Goto Eiichi in 1954. At the time, Goto was a graduate student in the laboratory of Takahasi Hidetosi at the Department of Physics, the University of Tokyo. 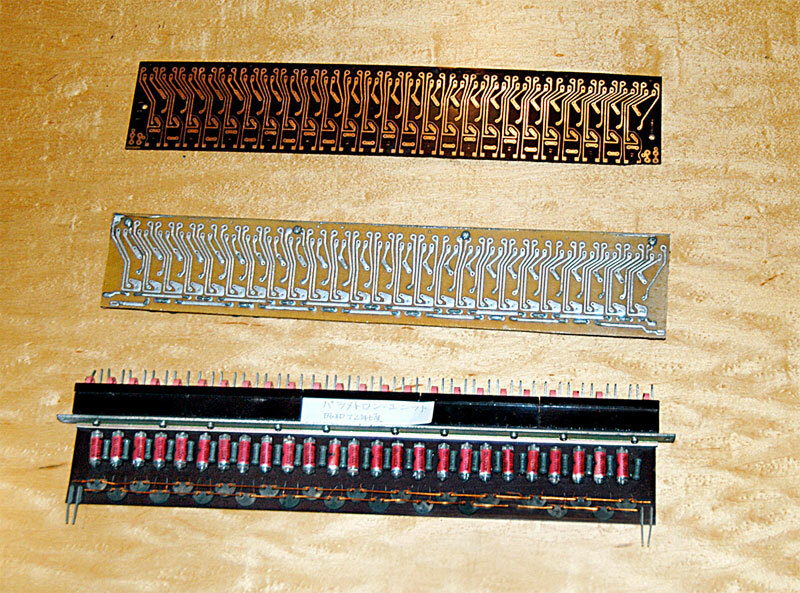 The parametron was a logic circuit element which utilized the parameter excitation phenomenon. When the L or C in an LC resonance circuit is varied by a frequency almost twice the resonance frequency (2f), it is possible to excite an oscillation with a frequency f using parameter excitation. Goto noticed that this oscillation had two phases, 0 or π, and that binary numbers could be represented by that phase. He adopted "parametron" as the name of this new logic element for electronic computers, and made his first research report in July 1954 before the Electronic Computer Research Group of the Institute of Telecommunications Engineers. An electronic computer called the PC-1 was prototyped using parametrons in the Takahasi's laboratory.